Lynne Petty, seen on the right, has joined us as the new Home Manager at Linden House, while Sam Reid, left, is the new Home Manager at Avon Reach. 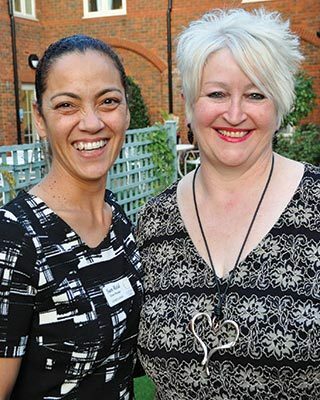 Among other moves involving team members, Sheeja Lolamony has been promoted to Home Manager at Court Lodge and Helen Holden is the new Home Manager at Brook View. Chris Adams, previously Regional Facilities Manager, has moved into a group-wide role as Health and Safety Manager.